I hope it's ok to do this but I'd love to collect the blog urls of any of you who've posted here before.I'd like to follow your refashioning adventures in the future. Thanks so mush for creating this space where we could share and enjoy each other's work. The blog will be missed greatly but I totally understand why you have to make decision's like this. *hugs* I am not new to refashioning but I never knew there were others out there who would rather use what they had than buy from the store. Or would rather go thrifting than purchasing retail all the time. Finding out I'm not alone has been huge for me. I found a place I belong and can post without feeling judged for being "poor" (which I am not just thrifty.) or not haivng things other might. Hi everyone! My name is Britt, or as most people in the crafty community know me, Stitchybritt. 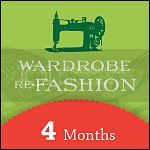 I am very excited to announce my first Wardrobe Refashion pledge. This is such a wonderful site full of talented people and brilliant ideas. 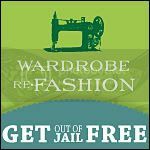 I generally sew, knit, crochet and refashion anyway, and I get so many great ideas from this site. Thanks to Nikki for bringing this community together! Finish knitting a shrug that I started, oh I don't know, a year ago? Before I go, here is a recent refashion of mine. This was an op-shop business-shirt that fit fine but was a bit boring. So I chopped off the sleeves and make them into cute ruffley ones! Much better. By the way, I blog over at Stitchybritt if you would like to see more of my stitchin' and craftin' shenanigans. Is this the easiest wardrobe refashion ever? Hi everyone, I've just joined Wardrobe Refashion and this is my first post. I've been a practising refashionista for many years now (off and on), even before I discovered Nikki's wonderful site! My Mum taught me to sew, knit and crochet when I was just a young thing and I had great fun experimenting with all sorts of 'looks' back in my teenage years when I had more time than money. Alas, adult life is so full of work and other responsibilities, and so I have lapsed in my creative stitching and have suffered because of it. Spring has sprung here in Melbourne and we've been having some pretty warm weather. But there are still those days when you're still not ready to bare all... Today I was putting together an outfit and needed some funky leggings to finish it off. Luckily, I have lots of pairs of winter tights, some of which are a bit too well worn for work these days. I snipped off the feet of a couple of pairs and voila! I hope you enjoy my first post, look forward to chatting again soon! G'day I'm Kait. I've been chewing at the bit to have a go at a wardrobe refashion. Living in a small New South Wales town with limited shopping prospects, means that I don't buy a lot of new clothes...well at least not on a regular basis. I love op-shopping and spend at least one lunch hour a week checking out the local charity stores for fabulous finds. I hope that this will be an opportunity to bust out the old Bernina that has been gathering dust and have a crack at sewing again. Although I don't have any items to show at the moment, I have set myself a seven day challenge to utilise the pretty scarves I've collected over the past few years. Check out my blog black.kettle.pot. and let me know what you think. hi my name is donna and am really excited to be a part of this community of crafters. i've been sewing for a few years now. i lost my job last year which allowed me to really examine where my money was going to, mostly to food and clothes. i love perusing my local thrift stores for bargains. whenever i go to clothing stores now, i always look at the clothes and think "i can totally make that." i pledged for 6 months and hope that this will be a great resource of accountability to stick to my pledge. I'm very happy to join this community! I'm a 24-year-old student, currently living in Germany but also familiar with California. I've been sewing since age 11, so I already have a bunch of refashioned items in my wardrobe. I am hoping to make more of them in the months to come - I just returned from a visit with my parents, suitcase full of attic-shopped clothes from mom and grandma that are waiting to be refashioned. I'm taking the challenge to abstain from new clothing for 6 months, but I might have to break it once for buying a few winter tights, because it's sure getting cold here... Other than that, I have my work cut out... now let me just catch up on this week's reading and programming exercises, and I'll soon be back with my first project. 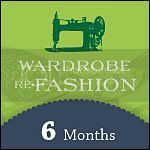 In the meantime, feel free to check out my blog, seamstress stories, where I've already showcased a number of refashioned clothes (most of them made over a year ago, though). I am looking forward to having a go at refashioning clothing. So far I have only refashioned t-shirts into quilts and blankets. I am dreaming of a serger, but for now I will refashion with my sewing machine. Here are some examples of a quilt and a blanket using t-shirts, I know they don't qualify as clothing refashioned but for now it is all I have to share. I'm 29 years old, a daydreamer- my best friend refers to it as a Rich Interior Life- , wife to Karl and mother of 4. Our children are 2, 4, 6, 8 and I home school them. We have a little house and cottage farm in Missouri, USA where we milk a Jersey cow, raise chickens and pigs, and keep a large garden with the goal of sustainability. We also keep bees, and our (6 year old) daughter is building a business selling rare daylilies. I do a lot of baking, canning and preserving. Karl works designing and installing solar power systems. Here are our 4 littles, all dressed as Link (from the Legend of Zelda) for Halloween. Looking at us now, you might not know that 5 years ago we lived in the San Francisco Bay Area on Alameda. 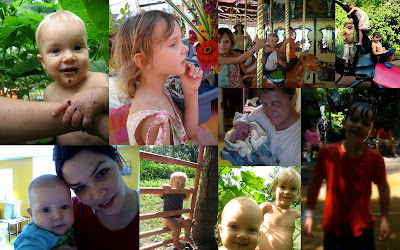 My husband Karl was in the solar industry and I worked at home sewing natural baby items like cloth diapers and slings. We left California and started a new adventure. I still sew, although with 4 children and a farm I don't have the time I wish I had. When I sew I am usually repairing items, making gifts, or making useful clothing for the kids. I live in an area without good fabric shops, so when I buy fabric it is often online. I almost exclusively favor natural fibers. I have been so busy canning this summer that it was a challenge to find some examples of my work. Fall and winter will give me more time. I love old period patterns, but also have a healthy collection of Kwik Sew masters. I am an experienced knitter and am hoping to spend this winter teaching myself Australian Locker-hooking. As Christmas approaches, you'll find me creating gifts for our children, knitting sweaters & hats, and venturing out twice a day to milk the cow. I am beginning college courses online this Spring so that will add an interesting element to my schedule. 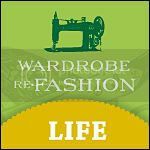 I am excited to have signed up for LIFEtime Wardrobe Refashion! Above is a slightly outdated collage of family pictures. We are Tabitha, Karl, Tristan, Kassiopeia, Anatoly & Romneya O'Melay. Find Karl at Pile of O'Melays and me at Starting from Seeds. Our farm blog is O'Melay Family Farm. I'm Kylie, from NSW, Australia. The past two weeks have gone very slowly as I have waited for my WR invite! I have signed on for 6 months and have patterns and fabrics ready to go, as well as a newly organised sewing room! I look forward to sharing my creations with you, and also to seeing what everyone else comes up with. I have sewn for around 30 years. I also knit, crochet and embroider. I have to say how thrilled I am to be joining this awesome community! I have been stalking for about a month, since I first stumbled upon the site, and couldn't wait to sign up. I am a mid-20s, recent university graduate who really has no clue what to do with my life. But, I love to sew. I have (just) paid off my credit card debt, but in the interests of not accumulating any more, I'm going to become a refashionista. I have been refashioning on an off for the last six months, but this will give me a chance to get into it more... exclusively. I have signed up for a 2 month stint, and if I can manage that, I will (probably) resign. I hope. In addition, I'm trying to take the Thrifty Christmas Challenge. We'll see how that goes. I'll keep you all posted. In the real world, I live in Canberra, and on the blog world, I live here. I have been sewing under the name of Fyre Fairee since my mid teens, and I think I'm gonna keep at it for a while longer. I have written about the processes I used to make the dress and shrug on my blog here and here and here and here, and on craftster here and here. (There is a longer post about the process of completing the dress that I'm also finished editing for my blog as well). I'm really pleased with the result, even though it was incredibly time consuming. All up, I spent a month working on this dress, averaging at least an hour a day, probably closer to four hours every third day... so, maybe between fifty and sixty hours work went into this dress? I was inspired by people who were inspired by the american clothing label gibbous who do truly beautiful work. Thanks again for letting me join this wonderful community, and, it's a pleasure to meet y'all.